A Pythagorean triple consists of three positive integers a, b, and c, such that a<sup>2</sup> + b<sup>2</sup> = c<sup>2</sup>. Such a triple is commonly written (a, b, c), and a well-known example is (3, 4, 5). 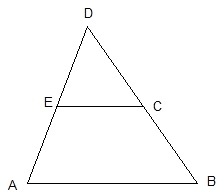 If (a, b, c) is a Pythagorean triple, then so is (ka, kb, kc) for any positive integer k. A primitive Pythagorean triple is one in which a, b and c are coprime (that is, they have no common divisor larger than 1). 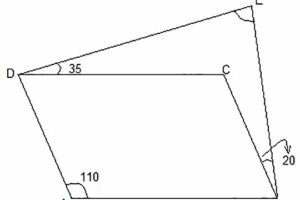 A triangle whose sides form a Pythagorean triple is called a Pythagorean triangle, and is necessarily a right triangle. 1. 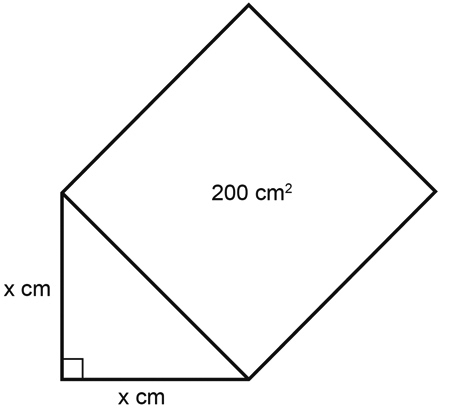 What is the length of each side of the indicated square above? 2. 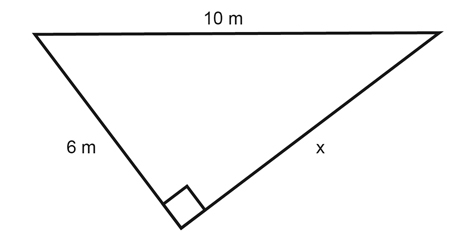 What is the length of the sides in the triangle above? 3. 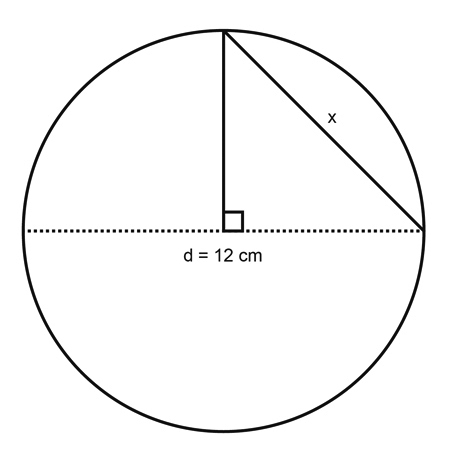 For the given diameter, what is the square of the indicated measurement? 4. Every day starting from his home Peter travels due east to the school. After school he travels due north to the library. This way Peter travels 25 kilometers. 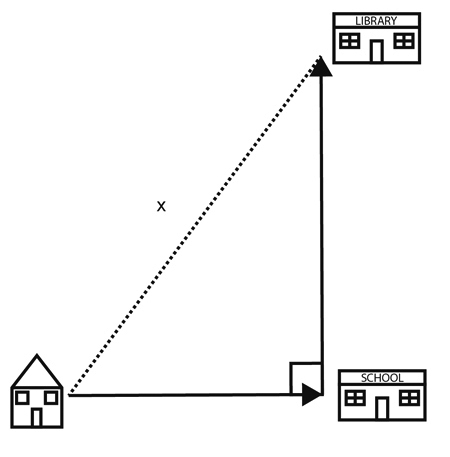 What is the distance between Peter’s home and the library? 5. 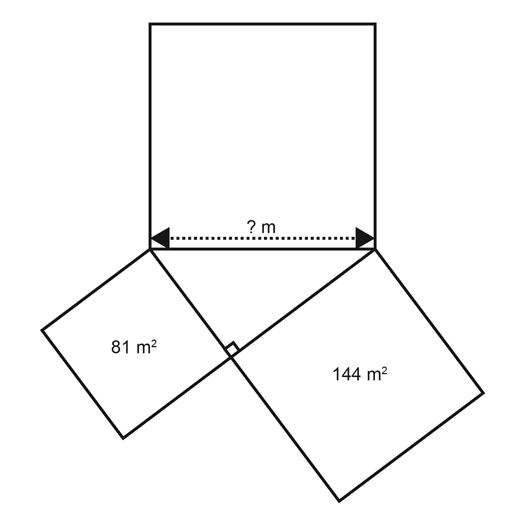 What is the length of the missing side in the triangle above? I’m confused by question 4. 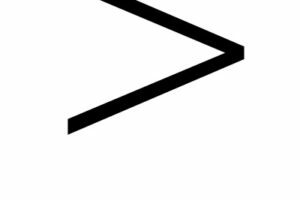 In the answer you say a squared + b squared = 25. Isn’t 25 just the sum of a and b, not those squared?